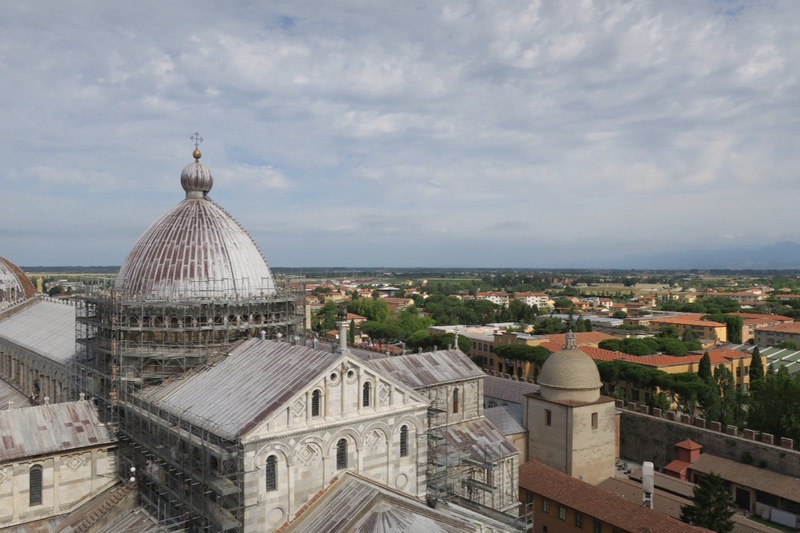 We woke up early and had a hearty omelet breakfast (not your traditional Italian breakfast but our hostel catered to internationals) before heading to see and climb the Leaning Tower of Pisa. This was one of our first tourist stops of the trip, and hey it’s an international icon. Gotta go see it and take a selfie with it right? We arrived promptly at our 9:15am appointed time and joined the line of tourists eager to scale the cockeyed steps to the bell tower. Meanwhile the tower attendants seemed far less amused. 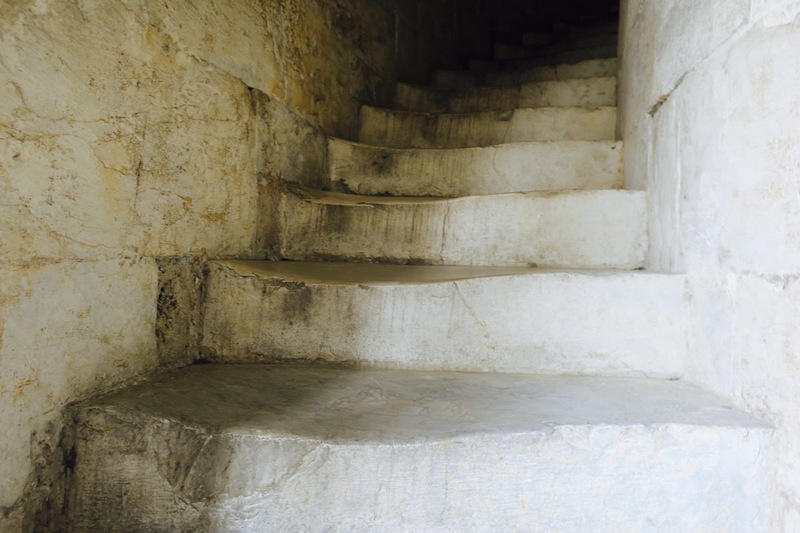 The drooping white marble steps must have worn down with the countless feet who have hoisted bodies over them since the towers completion in 1372. 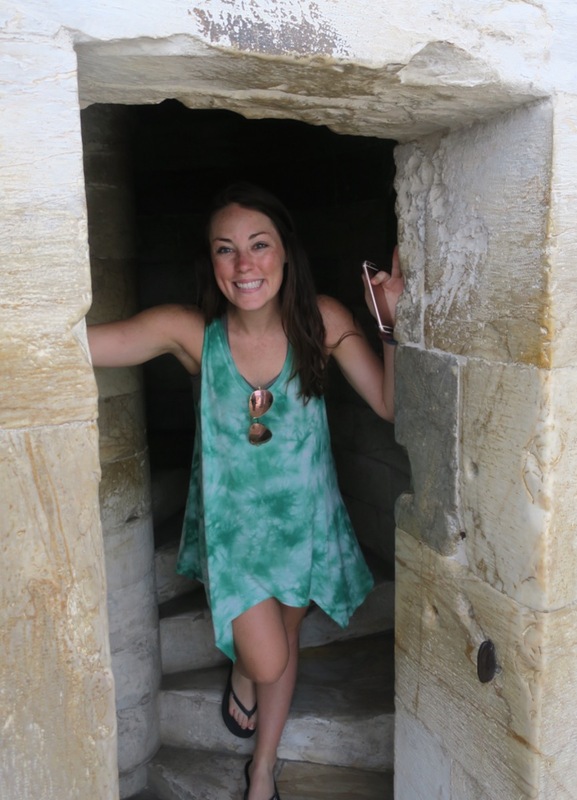 Walking up the spiraling staircase was an odd experience in itself, as half the time you can feel yourself leaning into the walls with the sway of the structure. Those with vertigo beware. Bita and I joked about how the original builders must have been in incredible trouble when the tower began listing. If only they knew that his awkward tower would someday be a world renowned icon and tourist destination. I can’t even begin to list all the Pisa swag that is available. After climbing back down the tower we joined the throngs of photo happy tourists and dodged several selfie sticks to get a picture with the tower. 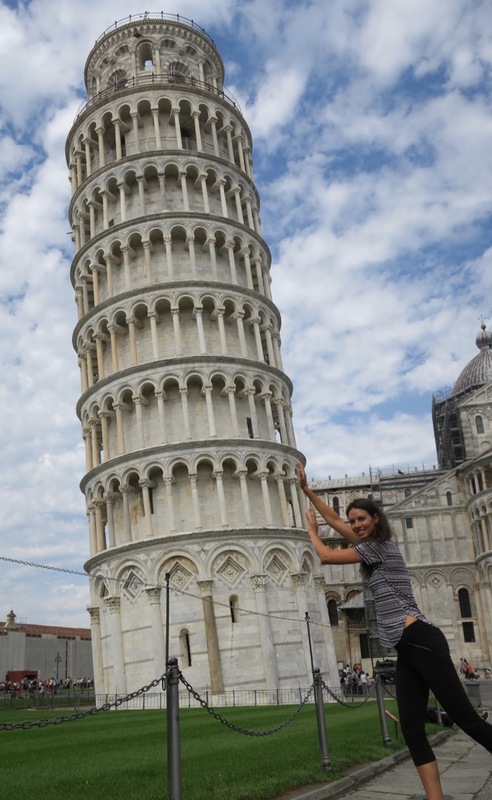 While the prized photo is generally of a person holding up the leaning tower, I have always schemed to take a picture where I am pushing it over. So I did. After we had taken sufficient photos of the tower we went in search of lunch. We decided on a paninoteca that was highly recommended bt Lonely Planet. 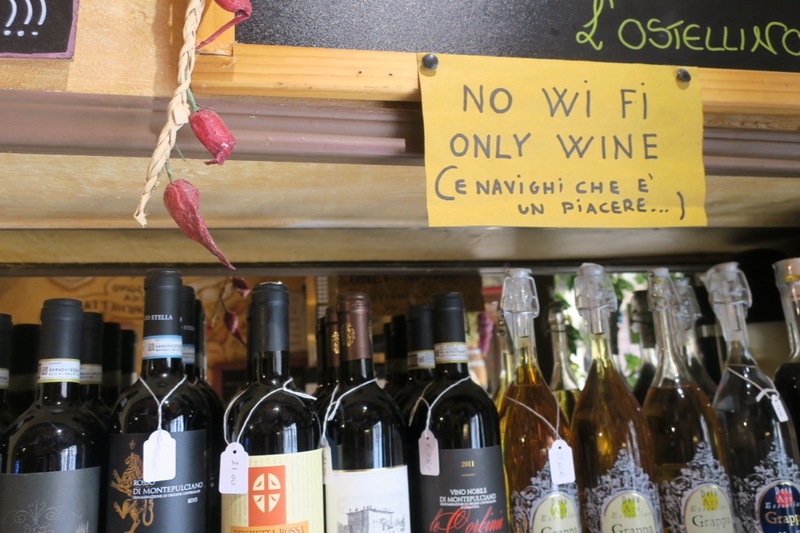 We entered the tiny eatery that was bursting with meats, cheeses and wine and scanned the panini menu. We both wanted whatever delicious concoction had pears, walnuts and cheese on it. Sitting outside on the grass devouring our sandwiches I was blown away by the flavor but confused by one ingredient. There was a thin layer of something white and fatty, with a distinct saltiness to it and pepper on the edges. Cheese? Was my first thought. Whatever it was it was delicious and we both consumed our massive sandwiches without a morsel to spare. Popping back into the paninoteca I studied the panini menu more closely. Our sandwiches included an ingredient called “lardo”, which I would learn later is cured pork fat. I wouldn’t order it every day, but on that sandwich it was incredible! Our day off in Pisa turned out to be particularly auspicious, because it was the festival for Pisa’s patron saint Rainerius. 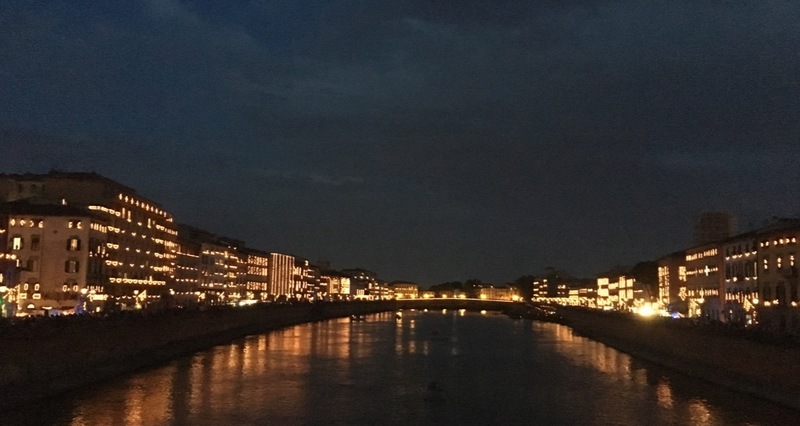 “The whole river is lit up!” One local informed us. We could hardly wait for the sun to set. Set the sun finally did and we followed the masses into the streets surrounding the river Arno. Every building was adorned with candles, and the reflection on the water was surreal. Perhaps even more exciting for a people watcher like myself was seeing the incredible mix of Pisians who had taken to the streets on this festive occasion. Men and women, teens and grand parents, young and old; it seemed everyone wanted to be a part of the magic. The bars and restaurants were full and the streets were lined with vendors slinging everything from candied nuts to belly button rings. It was a magical night, and Bita and I began our walk back to our hostel just as the fireworks were starting. We would have loved to stay out longer, but we had another day of cycling ahead of us.